How do I drop a self-enrolled Canvas course? If you decide you want to drop a course you self-enrolled in using Canvas, follow these steps. Note: You can only drop a self-enrolled Canvas course while it is in progress (between the course start date and end date). Also, if you did not enroll in the course using the given URL or join code, meaning you were manually or automatically added to the course, you will have to ask your teacher or institution to be removed from the course. 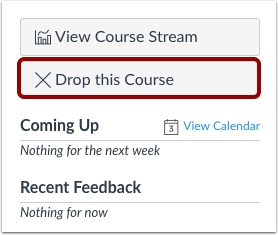 In the sidebar, click the Drop this Course button. 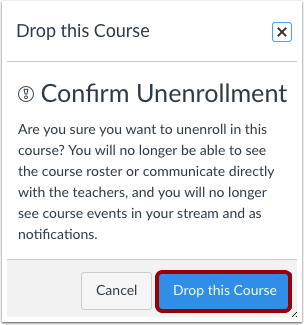 Click the Drop this Course button to un-enroll from the course. 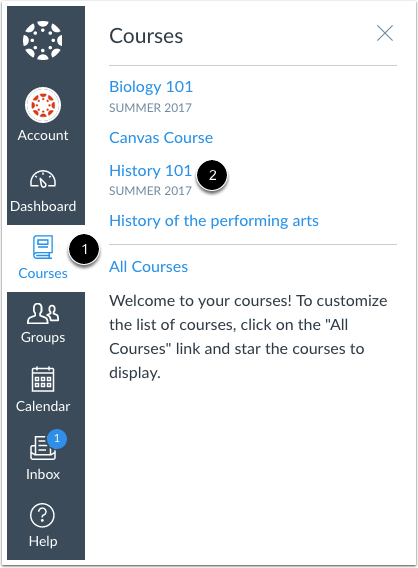 You will no longer be able to see the course roster, communicate with people in the course, and see course events or notifications. Previous Topic:How do I use the Course Activity Stream as a student? Next Topic:How do I use the Syllabus as a student? Table of Contents > Course Navigation > How do I drop a self-enrolled Canvas course? Re: How to unenroll from a course on Canvas?